The farther north we drive, the less and worse Internet connection there is. Updating the blog becomes harder and harder, and uploading photos is almost impossible. Tourists around here are probably smitten most of the time and have no time for virtual life. We are headed north, to Molde. And we are in a hurry, Moldejazz has just started. 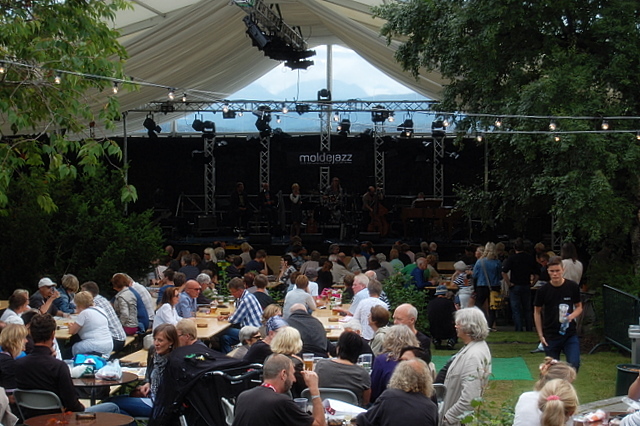 This is one of the oldest jazz festivals in Europe, celebrating its 50th anniversary this year. 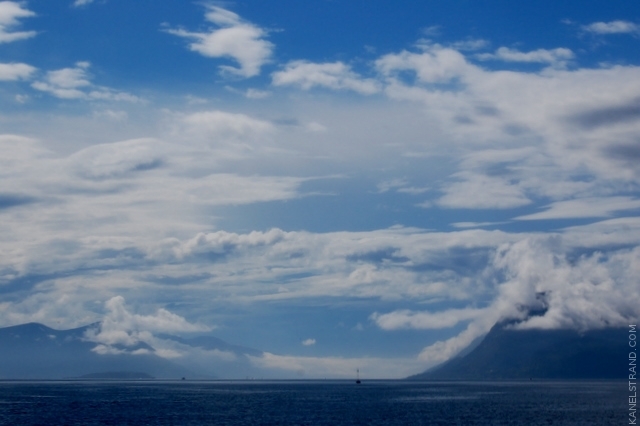 That tiny little town of Molde at the top of Fjord Norway comes alive for a week each July. 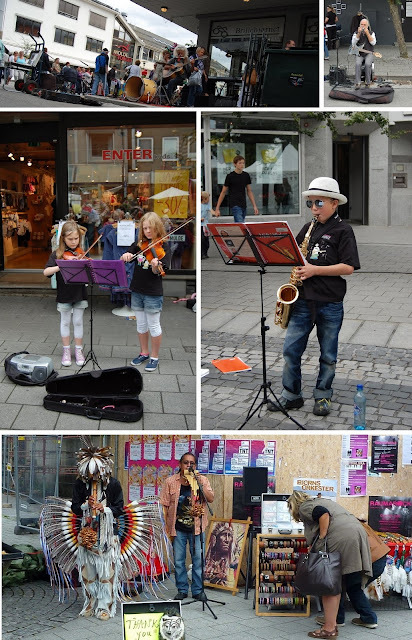 The streets are packed with jazz lovers, jazz singers, jazz/blues/country players, real South American Indians, and basically anyone else who managed to get to Molde to sell their art or craft. Every possible scene has become a jazz scene now and there are tens of languages to be heard around. The feeling is more like being on a fair and the intellectual air that Jazz usually implies is lost in between booths offering soaps and free meditation tips. 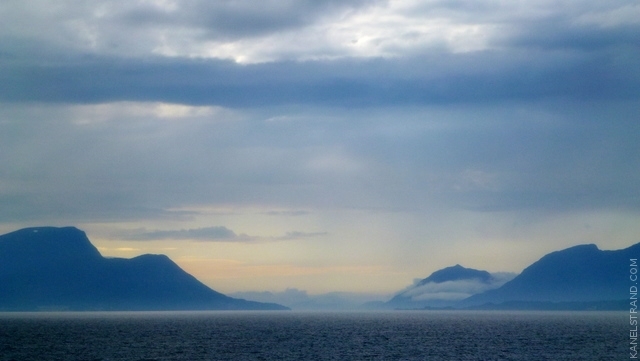 But Molde is beautiful. And charming. Dramatic peaks scrape the clouds and they pour over us relentlessly again and again, and again. Then sun, then rain again. That weather better make a choice already! 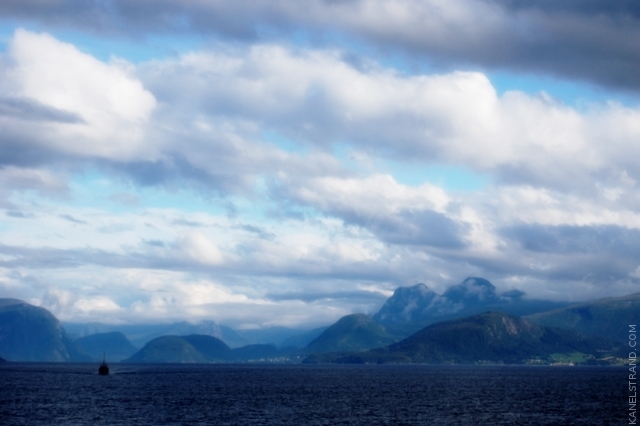 At Molde we meet the 4th of the ships of the Hurtigruten fleet. Do you remember when I wrote about the 5 day live TV marathon? It is exciting to visit the places that were shown on TV so soon and even meet some of the boats on the route! The longer we travel the more we get the feeling that Norway's sole purpose of existence is to showcase its magnificent wild nature. It seems that every road, railway or ferry route is there just to show that insane beauty, not to assist travelers in moving from one place to another. We often wonder what it is to live in these places. How do you grow up with this scenery? Can anything else in the world ever impress you afterwards? 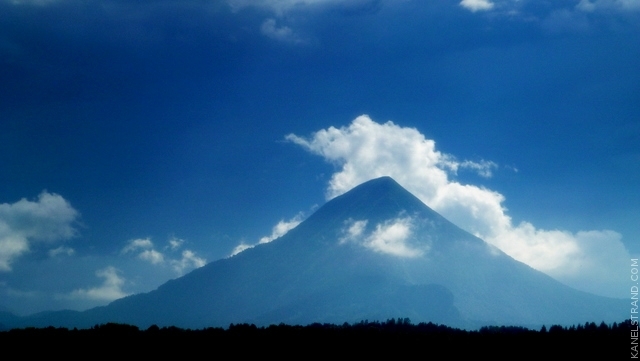 Could you be indifferent to that mind blowing landscape you wake up every day to? The road is calling us again and we head to the Atlantic Road, voted for the Norwegian Construction of the Century and is ranked first on The Guardian's list of the world's best road trips. It is a road that goes through an archipelago on the west coast and stretches its bridges for 5 mi (8 km) connecting small islands that are close enough... but we are unlucky. The clouds are low and it is raining again, no pictures can be taken. We wait but nothing changes for an hour and we decide to drive. Every rest place along the road is packed with RVs. Like vultures closing in on their prey, they patiently wait for the exact light and weather conditions to take their picture of the curvy road. 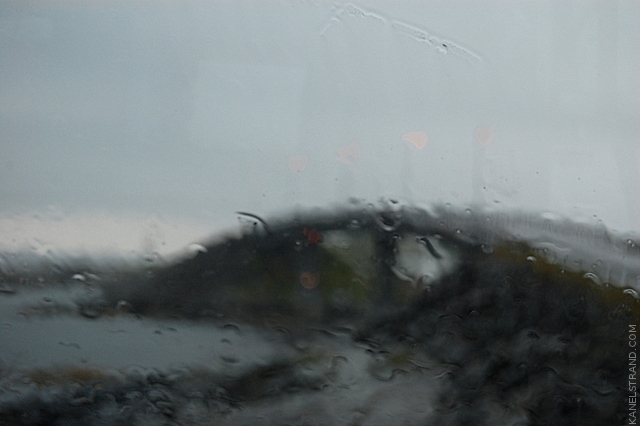 There is no place for us and we head on to Kristiansund. We'll spend the night there and come back tomorrow. Hopefully in better weather. And the scenery in Norway is just stunning. It would be so amazing to grow up with that around you, but I know what you mean. You might end up simply taking it all for granted, if it's all you've ever known. Amazing!! And the festival looks like fun!! Norway is so beautiful through your lens. I would have never thought that there would be a jazz and blues festival in Norway! That's awesome. Also, I just saw on the news about the bombing and shooting in Oslo. My heart is with the people there. It's terrible.